Planning a holidays for Pink City Jaipur? Then Chetram Voyages is available at your service. We are Jaipur based tour company, offering well planned tour packages for Jaipur, along with trips to Agra, Ranthambore, Ajmer, Jodhpur, Jaisalmer & our Golden triangle tour. 2 nights hotel stay with complimentary breakfast. To get more details on our 3 days Jaipur tour package, click the button below or call our Jaipur sales manager Mr Singh at +91 8209351141. 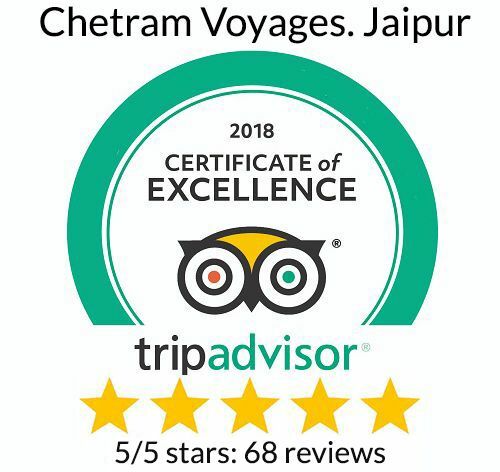 With Chetram Voyages, you can plan a half day, full day & 2 day sightseeing tours of Jaipur, where we offer our company cab & driver. Pick City: City Palace, Hawa Mahal & Jantar Mantar. Our sightseeing fare starts at Rs 1200 for 8 hour tour & you can view complete details by clicking the button below or call at 8209351141. Drop at Jaipur airport/ railway station on day 3. For more details, either call us at +91 8209351141 or click the below button. The complete tour will be planned with our company cab & driver, & for more details call at +91 8209351141 or click the button below. Day 1: Arrival in Jaipur & explore the city. 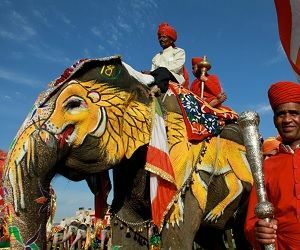 Day 2: Explore Jaipur till 2 pm & arrive in Udaipur by night. Day 3: Udaipur city tour, full day & night stay in Udaipur. Day 4: Leave for Jaipur with on-route trip to Ranakpur & Kumbhalgarh. Day 5: Either drop at Airport/ Station or half day Jaipur city tour. Get more details on our Jaipur Udaipur tour at +91 8209351141 or click the button below. Sightseeing tour of Jaipur, Jodhpur and Jaisalmer. Hotel booking in all 3 cities. 1 night stay at a desert camp in Sam, near Jaisalmer. Desert Safari at Sam, near Jaisalmer. AC Cab with driver for whole tour. Get more details on our Jaipur Ranthambore tour package by calling us at +91 8209351141, or click the below button. Day 1: Arrival in Jaipur & full day city tour. 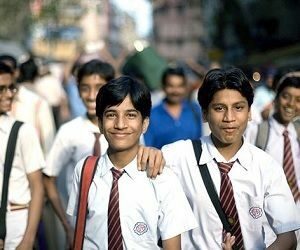 Day 4: Arrive in Delhi by noon & half day Delhi city tour. Contact us to book a royal Jaipur holiday with shocking rates. Quiz: Which number is bigger, 4 or 8 ? In this 4 days/ 3 nights tour package, we will explore Jaipur, Ajmer and the city of Taj Mahal, Agra. This package include hotel accommodation and AC Cab with driver. 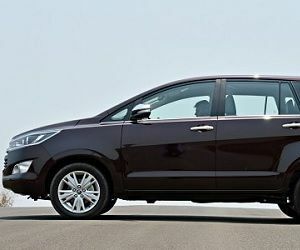 Chetram Voyages offer well maintained cars with local driver at best price. You can hire sedan, Innova and tempo traveller from us for out stations tours from Jaipur. Here we offer and arrange special tour arrangement for school and college groups. Like AC Bus, hotel accommodation, advance ticket reservations etc. Tell us your requirement like days, budget, any specific location which you want to visit or a specific hotel/ resort you want to stay, we will arrange it all and at the best rate. One can either catch a flight from Delhi to Jaipur, catch a train or AC Volvo bus from Bikaner house at India Gate. From Mumbai, we also suggest to either book a flight from Mumbai to Jaipur or train. Travellers from Ahmedabad can catch a train or flight for Jaipur or they can also come by road.